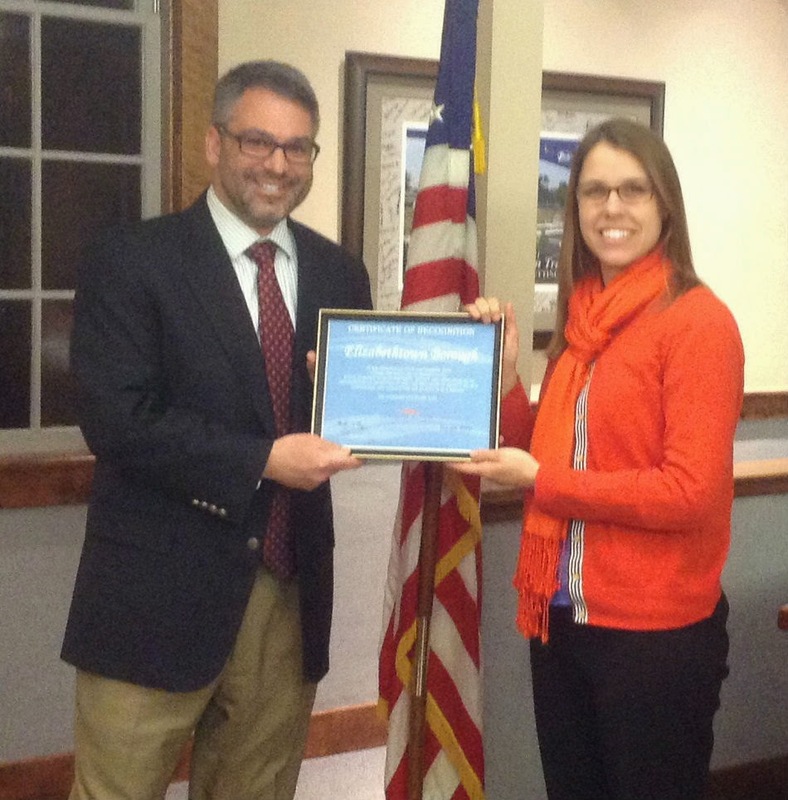 Last month, Commuter Services of Pennsylvania presented Elizabethtown with a certificate recognizing the borough's partnership with the organization. Commuter Services is a program of the non-profit Susquehanna Regional Transportation Partnership. Its mission is to reduce congestion on the highways with the goal of reducing air pollution. It serves Adams, Berks, Cumberland, Dauphin, Franklin, Lancaster, Lebanon, Perry and York counties. The organization helps commuters find alternatives to get to work other than driving alone. By logging onto its website, commuters can connect with other commuters to find carpooling information. It also promotes the use of public transportation and using the train. One of the stumbling blocks to carpooling is getting stranded if you get sick at work or if you have kids that get sick at school during the day. Commuter Services offers a unique services by providing free rides to people in these situations. All you have to do is register with Commuter Services, and it will pay for a taxi ride home. As someone who commuted to Harrisburg and Lancaster for many years, this was the first time I'd heard of Commuter Services. It's great to see an organization that is providing such a great service to commuters. And I'm pleased that the borough is partnering with them. After all, our geographic proximity to the cities means we have many commuters living here.